ALTAMIRA, Brazil, Aug 10 2010 (IPS) - “It’s a fait accompli,” acknowledges André Villas-Boas, head of the independent SocioEnvironmental Institute (ISA), resigned to the fact that the legal actions and protests have failed to block the construction of the Belo Monte hydroelectric dam in Brazil’s Amazon jungle region. But the battles lost against megaprojects harmful to the environment and to indigenous peoples and other local communities have not discouraged activists from mobilising. However, they have made social organisations and experts question the government’s decision-making mechanisms when it comes to mega-projects like dams. An environmental impact assessment (EIA) has been required in Brazil since 1986 for any project with potentially harmful effects on wildlife and local populations — a requirement that was incorporated into the constitution in 1988. The aim was to prevent a repeat of disastrous infrastructure projects like the Balbina hydropower dam in the northern state of Amazonas. In that case, 2,600 square kilometres of rainforest were flooded in exchange for a small amount of energy and a high level of greenhouse gas emissions. But the progress represented by the requirement of an EIA has fallen short of the expectations of environmental and social movements, because the studies have rarely led to a decision by the authorities not to approve a project. At the most, the environmental permits are made conditional on measures to mitigate and compensate damages. Hermes de Medeiros, a biology professor at the Federal University of Pará, told IPS that the Belo Monte EIA “illegally” failed to mention the impacts of parts of the project, such as the sluices and the deepening of the Xingu river on a 50-km stretch downstream. De Medeiros is one of 40 academics and experts who carried out a critical analysis of the 20,000-page EIA, identifying serious shortcomings and errors. Marinaldo Rodrigues, who lost his job of eight years in an Altamira sawmill when it was shut down in 2002 for operating illegally, hopes to find work on the dam. It is widely believed that the crackdown on illegal logging in the Brazilian Amazon began after the 2005 murder of U.S. nun Dorothy Stang, who spent more than 30 years fighting for the land rights of the poor, near the city of Altamira in Pará state. But Rodrigues told IPS that the government's efforts to curb the illegal clearing of the jungle had already been stepped up before the high-profile murder. 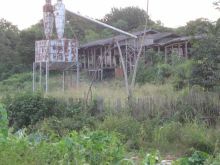 Since then, environmental authorities have closed down 10 of the 12 sawmills that processed wood in Altamira. As a result, some 5,000 people lost their jobs -- a major blow in a city of 100,000 people where formal sector work is hard to come by. Most of the former sawmill workers turned to casual work in fishing and agriculture, Rodrigues said. Although the company where he used to work eventually reopened, he decided on a change of track, and underwent training to drive the heavy machinery used in building embankments. Although he worked for four different companies, the father of two is once again unemployed at the age of 37. But he hopes to find work in the paving of the Trans-Amazonian highway, a project that is just getting underway. And with his training and experience, he is confident that he will find a steady job when work begins on the Belo Monte hydropower project, which will include two large dams and two canals entailing the removal of a similar amount of earth and rocks as the Panama canal. As a result, it is not surprising that Rodrigues supports the project, even though the area where his home is located will be flooded by the waters of the Xingu river, as will the homes of all of his neighbours in the low-lying portion of Altamira, once the dams are built. The Belo Monte hydroelectric station, which is to come on stream in 2015, will be the world’s third largest hydroelectric dam, after Three Gorges in China and Itaipú on the border between Brazil and Paraguay. Experts point out that EIAs have a built-in weakness: they are the responsibility of the company itself, although it must hire a firm that specialises in conducting such studies. The state electric company Eletronorte first began to design the Belo Monte dam, which will harness the Xingu river in the state of Pará, 35 years ago. It commissioned Leme Ingeniería, one of the biggest energy consultants in Latin America, to carry out the EIA. Leme Ingeniería belongs to Suez-Tractebel, Belgium’s top utility holding company, which forms part of the French energy conglomerate GDF Suez. Both Suez-Tractebel and Suez GDF have major energy assets in Brazil. GDF Suez also leads the consortium that is building the Jirau dam on another Amazon jungle river, the Madeira river, and had hoped to become a partner in the Belo Monte dam. The incestuous relationship between the companies that carry out the EIAs and the firms that commission them undermine the credibility of the process, Villas-Boas and de Medeiros argue. They also question the validity and effectiveness of the environmental permits granted by the authorities, based on the EIAs, since the government itself is the driving force behind projects like hydroelectric dams in the Amazon rainforest. The subordination of environmental concerns to the government’s economic and political interests has been especially obvious in the case of the Belo Monte dam, experts and activists say. The government has used every means within its reach to push through the enormous project, which has top priority status in its “growth acceleration programme” (PAC), the centerpiece of President Luiz Inacio Lula da Silva’s economic policy. Dilma Rousseff, Lula’s former energy minister and his candidate in the October presidential elections, played a key role in designing the PAC. Three state-run power companies and public pension funds were urged to build a consortium to take part in the bidding for the project, which they won. The federal development bank, BNDES, is financing 80 percent of the project, which will nominally be under private control in order to facilitate its administration. Only “the constant action of the strong hand of government” will make the hydroelectric plant possible, admits Mauricio Tolmasquim, president of the Empresa de Pesquisa Energética, the government’s energy research and planning bureau. But the Belo Monte dam is not only opposed by environmentalists, indigenous groups and social activists. Experts and business representatives in the energy industry have also questioned the economic viability of the undertaking. They estimate that its actual cost will be 60 percent higher than its budget of 10.8 billion dollars, and that it will only operate at 40 percent of its installed capacity, due to the drop in the flow of water in the Xingu river during the dry season. To remove the obstacles threatening the project, the government had no qualms about interfering with the judiciary, the activists and experts say. Judge Antonio Carlos Campelo was removed from the case by judicial reforms in the state of Pará, after he tried to suspend the bidding for Belo Monte three times in April, in rulings that were overturned by a court in the capital, Brasilia. In June, the reforms removed environmental and agricultural questions from the jurisdiction of Altamira, the municipality most directly affected by the project, transferring them to a court recently established in Belem, the state capital. The attorney general’s office also threatened legal action against prosecutors who have attempted to block the project. The public prosecutor’s office reacted by reasserting its independence and its defence of the country’s laws, but the pressure had already been felt. Earlier, in February, IBAMA, Brazil’s environmental enforcement agency, was forced to speed up approval of the project, after experts opposed to the dam were silenced and two directors responsible for the Belo Monte case were sacked. IBAMA itself was suddenly split in two in 2007, in response to government and business pressure to authorise the construction of two hydroelectric dams on the Madeira river. Former environment minister Marina Silva, who was behind the restructuring, resigned 11 months later, complaining about “resistance” to her environmental policies by factions in the government. She is now the Green Party’s presidential candidate. In the meantime, the government is trying to win local public support for the project. It has announced record amounts of spending in the affected municipalities, the resettlement of the families in the areas to be flooded, and the paving of the Trans-Amazonian highway, which is key to connecting the area to the rest of Brazil, as the road is now impassable during the rainy season. The promises of benefits have divided local indigenous communities, said José Carlos Arara, a leader of the Arara Indians who is opposed to the dam because it will divert part of the waters of the Xingu river, reducing the flow of water in the area where his people live, the Volta Grande do Xingu (the Great Bend of the Xingu), thus undermining their way of life, which depends on fishing and river transport. Some indigenous people who are “heavily dependent on the state and its welfare measures feel they are unable to survive without the state,” said Villas-Boas. A large part of the population of the city of Altamira backs the dam because it will generate employment to replace the jobs lost since the environmental authorities started clamping down on illegal logging.